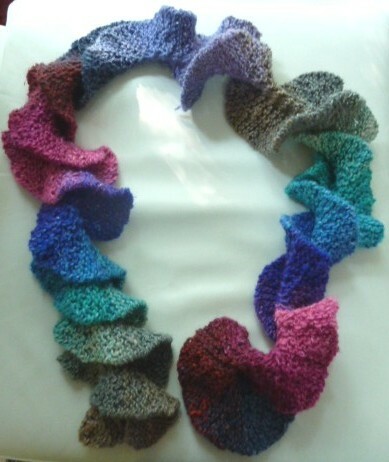 I’ve finished my second spiral scarf. I’ve taken pictures of both of them so that you can see the differences in the colours. The first has more purples and lavenders and the second more pinks and corals. While I’m pleased with the finished results I’m not a happy camper with regards to the yarn. The last ball of the Noro Silk Garden Lite had a couple of problems. The first was that it had a weak spot at the beginning and a 50cm piece broke off and the second was this. “Whilst technically one knot per ball is deemed to be acceptable throughout the industry, we certainly would be disappointed if this were the case with our yarns. Am I being picky to think that they are not viewing this from my point of view at all? Isn’t it obvious that if I found the knot in the middle of the ball I have already invested substantial time and effort KNITTING IT UP? Am I expected to undo it, rewind it and take it back to a shop that may not have any more. A refund isn’t going to help because this project requires more than one ball so how would I finish it then? Oh well, I can dream. 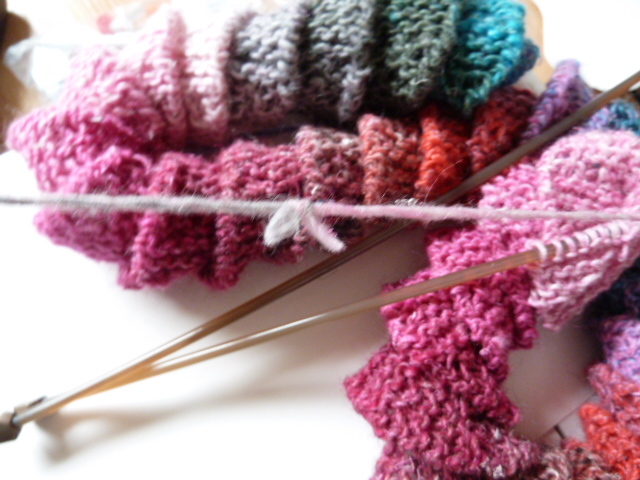 Will I be buying Noro yarns again? Lovely as they are, probably not. I was very interested to read your blog this morning. I HAD THE VERY SAME PROBLEM LAST NIGHT. The first scarf I knitted was perfect. the second I had knots…yes 2 knotts in the second ball I used. I do not have time this morning to follow up but will do asap. 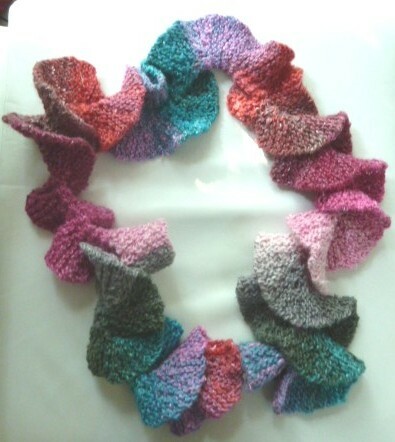 I have ordered 2 balls for my friend as she loved the first scarf that I made…now I feel embarrassed to tell her about the knotts. As you mentioned it was expensive yarn and should not have ANY problems..oh dear .. Puts it all into perspective when you think about Japan I think..
unfortunately, the quality issues with Noro are pretty widespread. I haven’t had a ball that *didn’t* have at least 1 knot in it, and more often than not there’s a lot of “trash” (bits of straw, etc) stuck in it that wasn’t cleaned out in the carding process. Overpriced and over-rated. But your scarves are lovely. Looks like I was fortunate then to only have one ball out four with problems. I’ve loved & knitted with your yarns for years. So imagine my chagrin when knitting with “yarn name” I discovered not only a knot but a poorly spun section that caused the yarn to break. Alas, I was in the midst of my project so returning the yarn is not an option. I’m sure you’ll agree with me that this yarn was not up to your standards nor worth the full retail price of $30. I believe my purchase should be discounted 25%. It’s game playing but this technique has NEVER failed me. If after given a chance to make it right, Noro didn’t. I would complain to the LYS. The shop will then make their purchases based on customer feedback & on up the chain. Thanks for the complaint idea Doris. You know I am a long time knitter but I never ever thought of winding the yarn first. I know we used to do that with my mother but that was because she used to buy the yarn in hanks and we had to roll it into balls. Thank you for your kind words on our handmade buttons (give-away on Michele’s Quilting Gallery). They are in fact available for sale in Australia!